The president has just been re-elected to a second term, and he intends to use his political capital to pass a bill addressing the most important issue of the day. The bill has already passed the Senate but is opposed by a majority in the House. This former lawyer from Illinois turned beloved president is a master of oration, but he will have to employ the art of personal persuasion in order to win this historic effort. Without alteration, this description could apply to Obama’s effort to avoid sequestration and pass a comprehensive debt relief bill or the plot of Steven Spielberg’s Lincoln, in which the sixteenth president schemes and strategizes with his allies to pass the amendment that abolished slavery. Spielberg’s decision to push the film’s release date to after the election was wise. The parallels drawn between Lincoln and Obama are so clear that they need not be underlined, and the film would surely have become a partisan football had it been released earlier. Lincoln draws no explicit connections to modern day, but the framing of the story – it covers the short period in Lincoln’s life from his re-election to his assassination – reveals Spielberg’s intended message: once, in a country even more divided than ours, a strong leader brought us together to pass an historic law. And if they could do it, why can’t we? 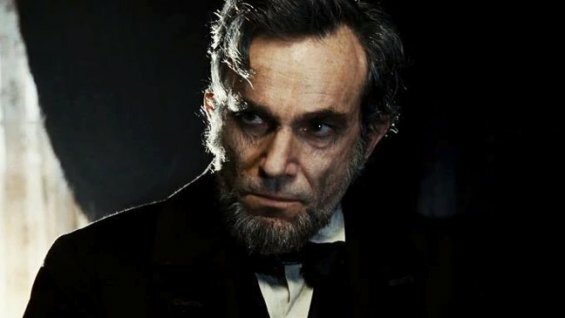 Spielberg and his screenwriter Tony Kushner struggle with some of the initial exposition, but once Lincoln gets going, it is a taut political drama, and the legislative battle it depicts has the largest of consequences. The challenge before Lincoln (Daniel Day-Lewis) and his secretary of state William Seward (David Straitharn) is to pass an amendment abolishing slavery, which the House may well do if they believe it is necessary to end the Civil War. Representatives of the Confederacy, however, are on their way to Washington to negotiate peace, and if the House learns that peace has been offered, they will sour on the amendment. Lincoln and Seward must navigate this narrow strait, delaying the Confederates while finding the votes necessary to pass the 13th amendment. To do this, they hire a trio of political operatives (John Hawkes, Tim Blake Nelson, and a scene-stealing James Spader) to wrangle a few Democratic votes. 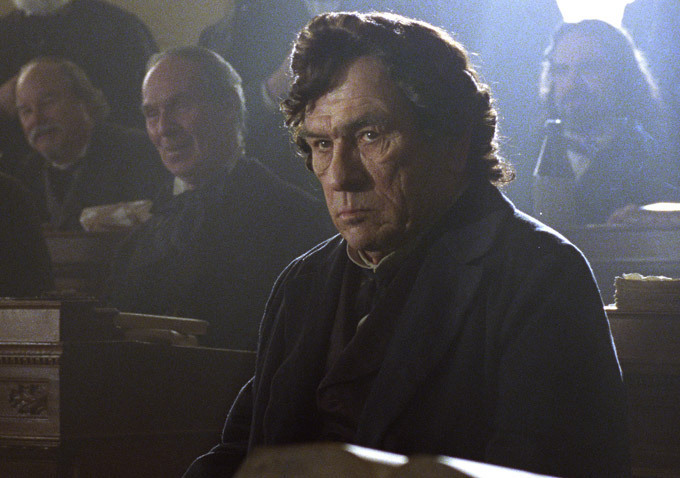 Thaddeus Stevens (Tommy Lee Jones), the fiery abolitionist, also plays a key role. If Spielberg were interested in presenting us with a nuanced portrait of Lincoln the man, then this would not be the plot for it. Although he shoehorns in some details of the president’s personal life, Lincoln is basically a procedural, and it revels in the gloriously excruciating details of the American political process. This is Spielberg at his most optimistic, showing Americans in the 21st century, who hold their Congress in historically low esteem, what good government looks like. The story also plays to his penchant for encompassing all views: to pass an historic law, the heroes of this story use every value on the spectrum of moral truth – compromise, adherence to one’s principles, and even flat-out lies. Of course, the story of Lincoln is also a playground for Spielberg’s worst directorial impulses: overwrought sentiment, unnecessary interjection of paternal abandonment issues, and a suffocating tone of reverence. In this case, perhaps, reverence may be forgiven. There is no greater American political legend than that of our sixteenth president, and the version of his story that Spielberg and Kushner have cooked up exists largely to perpetuate and solidify that myth. They seem to feel that, in the petty divisiveness of our current political climate, we need reminding of the best that our politics can bring. The downside is that the myth and the moralizing leave little room for the man. Daniel Day-Lewis does his best to humanize Lincoln, and he is largely successful, bringing the character to life in a way that feels familiar but still surprising. Day-Lewis never falls back on caricature, but his nuanced performance is limited by the film’s insistence on maintaining the myth. Thus, he almost belongs in another movie that cares much more about who Lincoln was as a person, and subplots involving his strained marriage to Mary Todd (Sally Field) and his equally strained relationship with his grown son (Joseph Gordon-Levitt) fail to have much of an impact. Ultimately, the film feels disconnected. Spielberg is drawing obvious parallels to our current political climate, but his tone lacks immediacy. It feels like a conclusive, almost nostalgic look back at the divisive racial and political climate of its era, but intellectually, our minds understand these issues to be ongoing. In trying to be all things to all people – a historical document and a contemporary allegory, a political procedural and a domestic drama – the film’s elements add up to less than the sum of their parts. The purpose of Lincoln is never quite clear – does it intend to deconstruct the myth or use it to inspire? Much like its hero, Lincoln tries to accomplish both at once, but unlike him, it fails to do either, at least for me. If it succeeds in the latter for some – if it inspires – then I suppose it will have been worth the trouble. As the reviewer’s high school US History teacher, I came to his reflections hoping to show him up on his history, but Noah doesn’t give me the chance. The initial point he makes is absolutely central to a discussion of any historical epic Hollywood produces: it’s more about the time it is made than the time it purportedly presents. The film is worth seeing and will assuredly win multiple Oscar nominations, potentially for film, director, actor, supporting actor, screenplay, score, and cinematography, at least. While I think Kushner and Day-Lewis deserve a little more credit than Noah gives them, you have to hand it to him for being overwhelmingly on target. But can I just squeeze in that there are a bunch of historical inaccuracies? Even Lincoln expert (and consultant on the film) Harold Holzer said so in a talk in Rye, NY last month. Enjoy it nonetheless, and feel uplifted and educated and manipulated the way Spielberg always makes you feel. Well-put, Doc. I do think historical inaccuracies are inevitable in film, even in documentaries. I am far more a student of film than I am a student of history, as you know doubt recall, so I am glad you are here to keep us all honest.